Mark Tufano is the founder of Brightly Digital, a digital studio that creates and implements digital strategies to connect brands with their audiences. Brightly’s capabilities include web design, social media, and digital marketing. 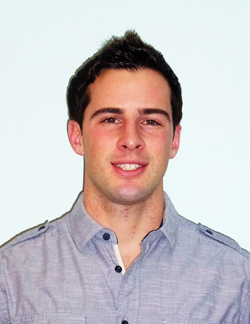 In addition to his work at Brightly, Tufano is on the Online Video Analytics team at Nielsen. Previously, Tufano has worked on freelance projects as a digital strategist in social media and web design and also worked in the financial services industry for KPMG and Ernst & Young. Tufano is a 2009 graduate of the College of Information Sciences and Technology at Penn State. Tufano will present on Thursday March 21 from 1:00 p.m. - 2:15 p.m. in 113 IST Building.